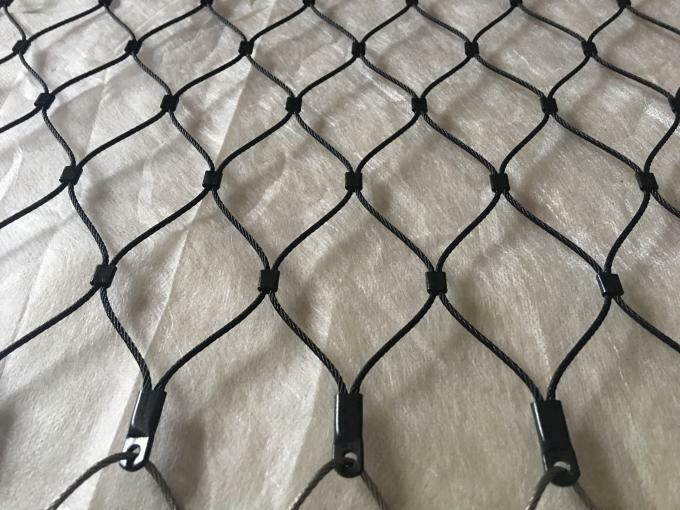 Black Oxide Wire Rope Mesh is manufactured from high-grade stainless steel cables of material class 1.4401, AISI316 / AISI316L ; Black Oxide Wire Rope Mesh is custom manufactured to suit your balustrade, railing or architecture application ; Mesh can be applied in either a vertical or horizontal direction, again dependent on the balustrade or railing design ; Diagonal and irregular shapes can also be supplied. 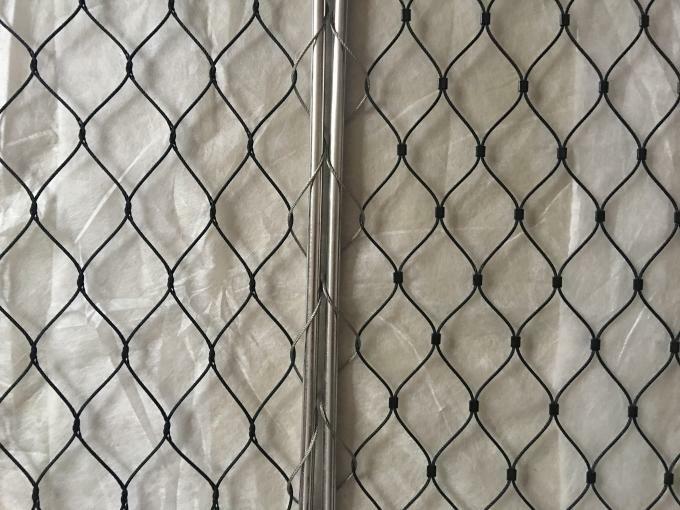 Features: nonflammable, high strength, durable, easy maintenance, functional and decorative effect vivid, strong, and to good effect on the building structure protection. 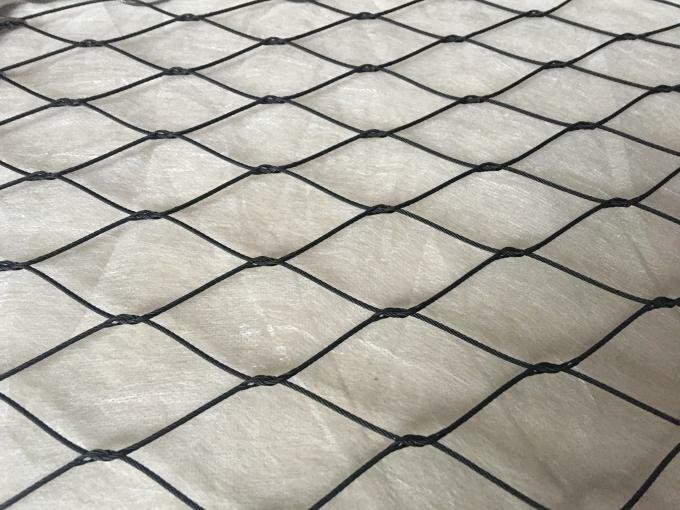 The installation is simple and fast, shape chic and elegant. 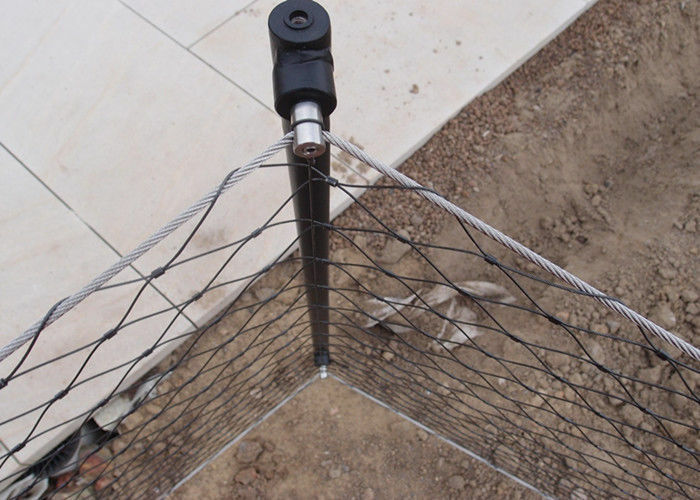 · garden decoration and construction and renovation.